This very passionate and in your face presentation is about pushing to recapture the primary mission of theFire Service. The very foundation of what has defined the fire service for decades is what built an undeniabletrust from the public. We must push for a greater fire service that puts the lives of citizens first, which alsomeans that property still counts. IT’S WORTH THE RISK is about more than just aggressive interior firefighting, it is also about standing strong against all odds to create a better and more effective fire service by putting yourself out there. Stay true to yourself, stay true to the mission, and stay true to the job. AGGRESSIVE does not mean UNSAFE. Political correctness and self serving attitudes are threatening the very fabric the holds this job to the highest of standards. Having a solid character, always doing the right thing, challenging the status quo, and of course continually training go a long way in making the firehouse and the fire service a better place. There is positive value in tradition, culture, and the core values that built the fire service. This means we can take acceptable risks, and make calculated tactical decisions based on your level of training, knowledge, and experience. You must understand that this is a tough and dangerous job that requires mental and physical toughness. More civilians are saved in one week than firefighters die inside structures in an entire year. IT’S WORTH THE RISK. We can and do make a positive impact in saving lives and property. Not all property is replaceable, and not everyone has insurance. With solid training the RISK is truly REDUCED to a manageable level. Bringing back realistic and practical live fire training is needed. Understanding that experience matters, and sometimes no matter how right we do this job, sometimes things can still go wrong. It’s always been said that you can never train too much for a job that can kill you. Those words are very poignant, yet the majority of firehouses have adopted a culture of training less and complaining more about those who do. Stop worrying about what others are saying, and let’s get back to the job of TAKING BACK OUR FIRE SERVICE. Get out of the recliner, get motivated, and make a difference. IT’S WORTH THE RISK. CURT ISAKSON is a 28 year veteran of the fire service, a Battalion Chief at Escambia County Fire & Rescue, and a second generation firefighter. Previously worked 9 years with the Pensacola Fire Department where he was assigned as the Company Officer on Rescue 31. Curt’s fire service experiences started at a young age as a Junior firefighter with the Midway Fire Protection District and rose through the ranks to Captain. He has worked in volunteer, career and combination departments. 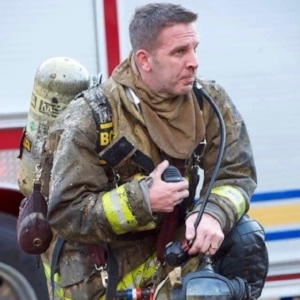 Curt has held all ranks up to Battalion Chief and been assigned to operations, training, inspections, and was chief of special ops for 7 years. He is the owner of County Fire Tactics, a website resource for rural-to-urban firefighting. Chief Isakson is a passionate and renowned speaker, presenting at FDIC, Firehouse World. Curt also owns the website www.firefighterrescues.com, which highlights the success of fire departments in saving civilian lives. The Firemanship Conference is operated by the First Whip F.O.O.L.S., a 501(c)3 nonprofit firefighter training organization, and Brothers in battle llc. The organizers of the firemanship conference are committed to providing training for any firefighter, regardless of race, gender, religion or any other differences we have.